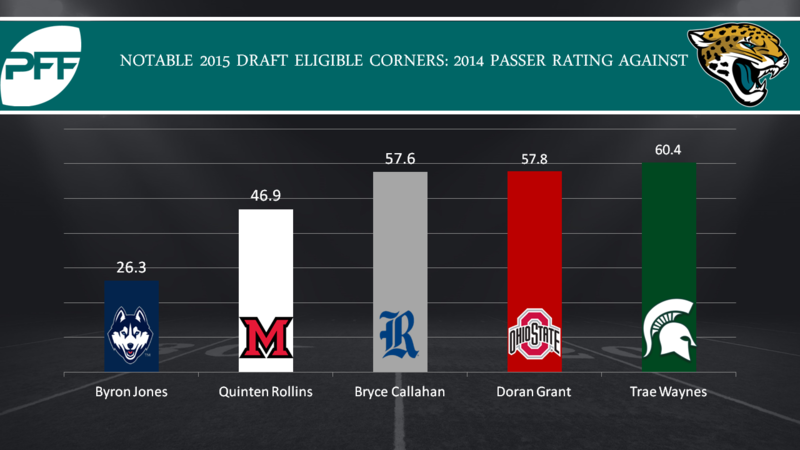 With other Jaguar cornerbacks missing time in OTAs, Doran Grant has been a notable performer to this point. Drafted by the Steelers in the fourth round of the 2015 draft, Grant played on special teams as a rookie. In 2016 the Jaguars added him to their practice squad. When playing at Ohio State, Grant showed an ability to contribute in multiple ways. In 2014 (his final college season), Grant was tied for fifth among all draft eligible corners in terms of tackling efficiency with 35 attempted tackles for every missed tackle. Grant also thrived in coverage, where he allowed a stingy 0.98 yards per coverage snap. He allowed a 57.8 passer rating on throws his way, 14th among draft eligible corners. While the Jaguars starting cornerbacks are established, more depth at that position can never hurt and Grant seems to be on the right path towards making the final roster.